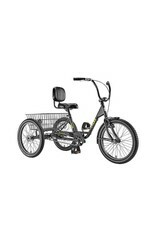 The Atlas Transit is a medium duty trike perfect for hauling groceries from the local market or transporting packages around a warehouse. 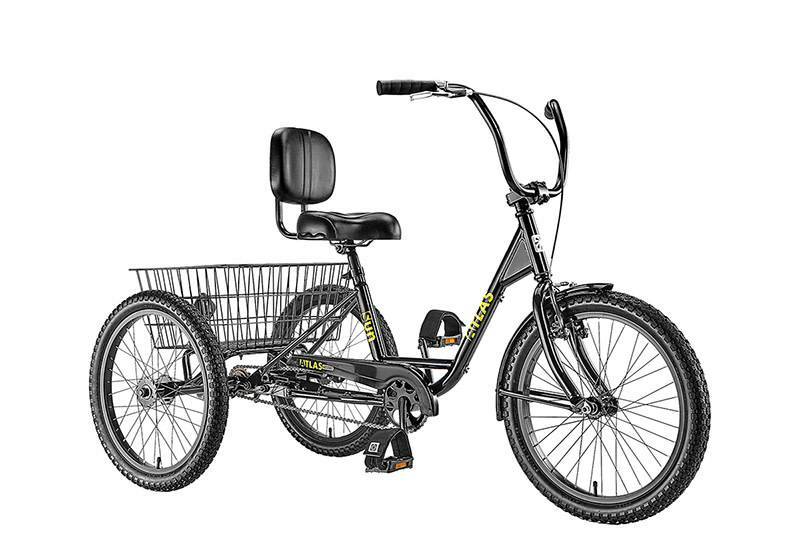 The frame is designed with the same Low-Step as our Traditional trike making for easy on and off access. 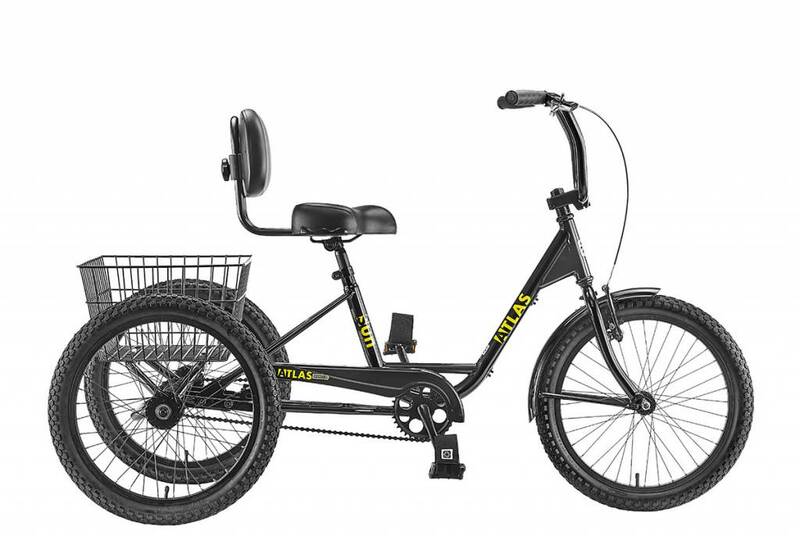 Along with a complement of durable components, the 24" version is customizable with 3 different wheel styles. 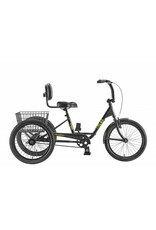 The 20" SD version comes stock with alloy wheels, includes a Sun custom trike saddle with adjustable backrest, and Velcro toe straps for secure foot placement. Step Through: 13.5" Min Saddle Height: 22"
Overall Dimensions: 63.5" L x 30.25" W Bike Weight: 49 Lbs.